The forum will feature presentations, interactive panel discussions, “poolside chats” and a networking reception. The workshop on mobile forensics was led by cybersecurity and mobile forensics expert Karen L. Paullet at the UH Maui College campus. For the second time in three years a UH team won the National Cyber League competition, considered to be the country’s leading collegiate educational cybersecurity challenge. The series, Kaiālu, which means community, or neighborhood, will feature topics that provide insight into Hawaiʻi’s culture and are contemporary and relevant to the college offerings and initiatives. Six students won scholarships and two placed in the top ten of the cyber security competition. The team placed first in their bracket in the Fall 2017 National Cyber League Season, helping to propel it to an overall second place out of 84 teams. The contest provided competitors with real-world, high-pressure situations to aide them in understanding the vulnerabilities of today’s global threat landscape. 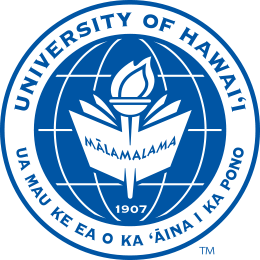 UH and Hawaiʻi Business Roundtable will be hosting Future Focus: The Hawaiʻi Innovation Initiative’s Forum on Astronomy, Space Exploration, Cybersecurity and More.